You would use it only in certain situations. If the text was moved, usually with grips, use the Home option to return the text’s placement to the setting specified by its dimension style. Select the dimensions you want to fix and press Enter to end selection. This makes DIMEDIT a good clean-up tool for sloppy dimensions! Use the New option. The Text Editor appears and you see selected text (brackets or 0). This represents the existing text. The reason you see it this way is that you can use DIMEDIT to edit the text on multiple dimensions at once. 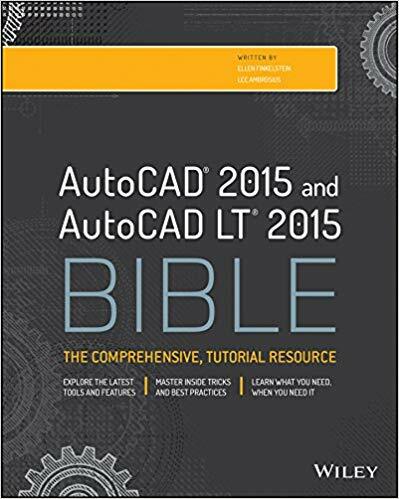 To replace the existing text, delete the selected text and type new text. To add text to the existing text, use the arrow keys to move to the left or right and type the text. Then click OK or Close Text Editor. At the Select objects: prompt, select the dimensions that you want to edit, then press Enter to end selection. This use of DIMEDIT makes it good for changing many dimensions at once! Here you see I’ve added the word “clearance” before the existing text. This option works like rotating any text. You would probably only use it when you need to squeeze the text into a small space. Can you think of a good use for this? Use the Rotate option and specify the rotation angle. Here, it’s 45 degrees. Then select objects. This creates oblique extension lines and would also be used when you’re trying to squeeze dimensions into a small space. Use the Oblique option, specify the obliquing angle, which is the final angle, not the amount of rotation, and select objects. Here you see a 45-degree obliquing angle. Thank you for the tips on DIMEDIT. 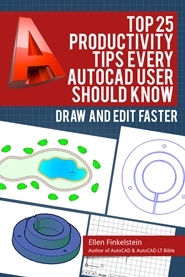 I am a long time AutoCAD user but wasn’t aware of these tips. They will be very helpful! I use dimedit on drawings I get from others to make sure all the dims are actual and not over-ridden.